Reviewing your beneficiaries regularly can help insure that your wishes will be carried out. 2. Must Mutual Fund of Decedents Be Renamed to an Estate Before Passing to a Beneficiary? IRAs and most share or stock certificates with beneficiaries do not have to go through probate before they can be distributed to your heirs. However, two states (Louisiana and Texas) still require stock brokerage accounts to go through probate. Designating a beneficiary is like creating a private will for your IRA or share certificates, so choose wisely. Choosing the wrong beneficiary could send your assets to someone other than the people you intend. The probate process is a systematic way to transfer your estate. It’s a two-step procedure that consists of paying your debts and transferring your assets to your beneficiaries. When you die, your estate goes through probate whether you have a will or not. However, having a will means that you get to decide who gets your stuff, including guardianship of any minor children. Not having a will means that the state gets to decide. The best choice for a beneficiary for your IRA or share certificates is a living person, not your estate. Choosing your estate rather than a person means an asset that was meant to go directly to your heirs will become part of the probate process and could be used to pay your creditors. If you do not name a beneficiary for your IRA or share certificates, by default they will go to your estate and you could have the same problem. If things change in your life -- for example, an heir dies or you get divorced -- change your beneficiary designations so they always match your wishes. IRAs, or individual retirement accounts, are available to everyone with earned income and can easily be set up through a bank, brokerage firm or mutual fund company. 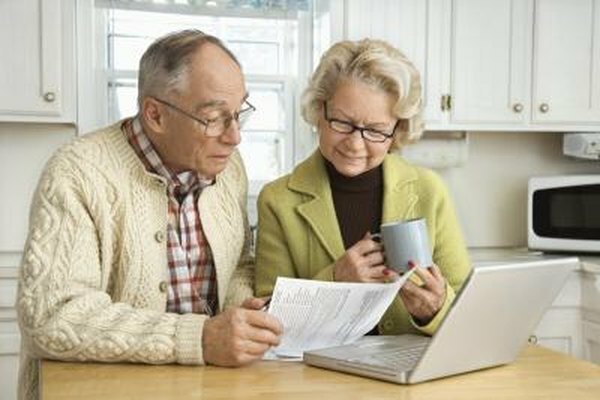 One of the best features of IRAs is that your investments grow tax-deferred. A share or stock certificate is a legal document that certifies ownership of a specific number of stock shares in a corporation. They typically include the number of shares owned, the date and an identification number. Companies are no longer required to issue paper certificates, so most stock purchases are now registered electronically. In addition to IRAs and share certificates, there are several other types of assets that will pass directly to your heirs without going through probate if you name a beneficiary. These include life insurance, 401(k) and 403(b) plans, as well as other retirement plans that have a designated beneficiary. Companies that manage these are accounts are required to deliver the account balance to the named beneficiary. Nolo: Do IRAs Go Through Probate?